Today, the British Government set out its pledges on the future of animal research under the current Coalition Government. A joint paper put out by the Department for Business, Innovation & Skills, the Department for Health, and the Home Office entitled “Working to reduce the use of animals in scientific research” laid out the future for animal research in Britain. 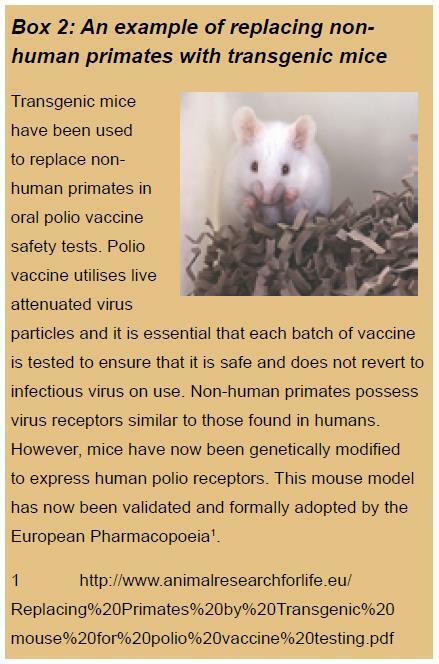 This document should allay the fears by some scientists that the previous appointment of Norman Baker MP (a critic of animal research) as minister responsible for animal experiments, might prove disastrous for the research community. The use of animals in scientific research remains a vital tool in improving our understanding of how biological systems work both in health and disease. Such use is crucial for the development of new medicines and cutting edge medical technologies for both humans and animals, and for the protection of our environment. Hence, enabling properly regulated use of animals is essential to improving the health and lives of humans and animals and to the safety and sustainability of our environment. For example, the development of monoclonal antibody therapies over the last 20 years has completely transformed our ability to treat diseases including breast and other cancers, rheumatoid arthritis and multiple sclerosis. The development of this technology would not have been possible without the use of animals both in developing the fundamental elements of the technology and in producing the medicines used to treat patients. The Government also clarified its oft-misunderstood 2010 pledge to reduce the use of animals in research (The total number of procedures has risen in Britain as funding into life sciences continues to increase). 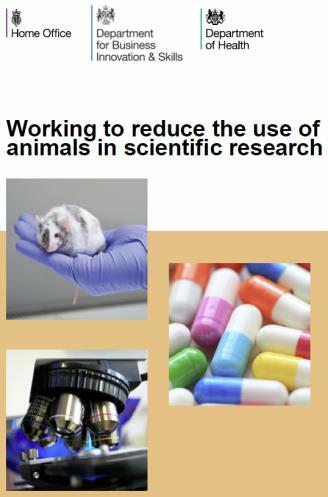 [In] 2010, the Government made a commitment to work to reduce the use of animals in scientific research. This commitment is not focused on baseline numbers which are influenced by a range of extraneous factors. Instead, it encompasses replacement, reduction and refinement (the 3Rs) more broadly, putting them at the heart of a science-led approach. promoting an understanding and awareness about the use of animals where no alternatives exist. While the total number of animals used in research has risen, the UK has made strides in reducing the numbers of large animals used, with procedures on cats, dogs and primates all down from a decade ago (all three species combined now account for less than 0.2% of the total). Over 98% of all research in the UK is now conducted on mice, rats, birds and fish. Part of this change is due to genetically altered mice now making it possible to accurately model complex diseases which could previously only be studied in large mammals. [R]esearch to improve the assessment and alleviation of pain in laboratory animals, and to ensure that rats and mice are killed as humanely as possible at the end of studies. The Centre reviews all applications submitted to the major bioscience funding bodies that involve the use of non-human primates, cats, dogs or horses, identifying opportunities to further implement the 3Rs. It also hosts an annual meeting for scientists, vets and animal care staff who use non-human primates to discuss welfare issues; recent meetings have included topics such as training animals to cooperate with procedures such as blood sampling in order to minimise any stress they might experience and the use of imaging technologies. The government wishes to enhance the role of the Home Office inspectors (who visit every animal research institution in the UK on a regular basis) to include helping to disseminate best 3Rs practice. This is a definite positive step as inspectors are in the best position to view best practice in one lab and offer advice to the next – though the Government has not made it clear if the number of inspectors will rise – something that would be welcomed. The government wishes to do what it can to export the UK’s best practice abroad. The UK has some of the best animal welfare standards in the world. By pushing for better standards elsewhere the UK both helps improve the global welfare of animals, and helps to prevent the temptation for some researchers to conduct studies abroad where regulations are less stringent. The UK pledges to do more work abroad, supporting the NC3Rs in its international work, and by trying to drive forward harmonised international standards – something which the EU Directive 2010/63 is creating across the EU. Furthermore, since the UK and EU have banned cosmetic testing and the importation of cosmetics tested on animals, the Government now want to push for similar bans elsewhere. Openness has been a growing theme in the UK when it comes to animal research. In October 2012, Understanding Animal Research announced that over 40 organisations had signed the Declaration on Openness, committing them to developing the Concordat on Openness on Animal Research. This came as a result of polls showing that the general public wanted more information about how animal research is conducted in the UK. The Government supports the Concordat process, and also wishes to provide more information so that they may both understand and support the regulated use of animals in research. Public attitudes surveys in the next few years will show whether they succeed. Overall, the Coalition pledges promise to show all the signs that the government is committed to the UK biosciences, while keeping animal welfare as a priority throughout the process. Posted on February 7, 2014 February 7, 2014 by EditorPosted in News, Outreach News, Science NewsTagged Animal research UK, animal testing uk, Coalition pledge animal research, coalition report 2014, NC3Rs, Working to reduce the use of animals in scientific research.